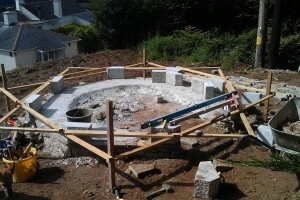 A unique and eccentric project set on a hill over looking the wooded Helford estury, this ‘gazebo’ was brain child of Rufus Maurice, a master green oak framer/boatbuilder. 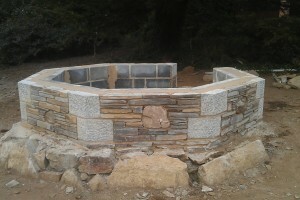 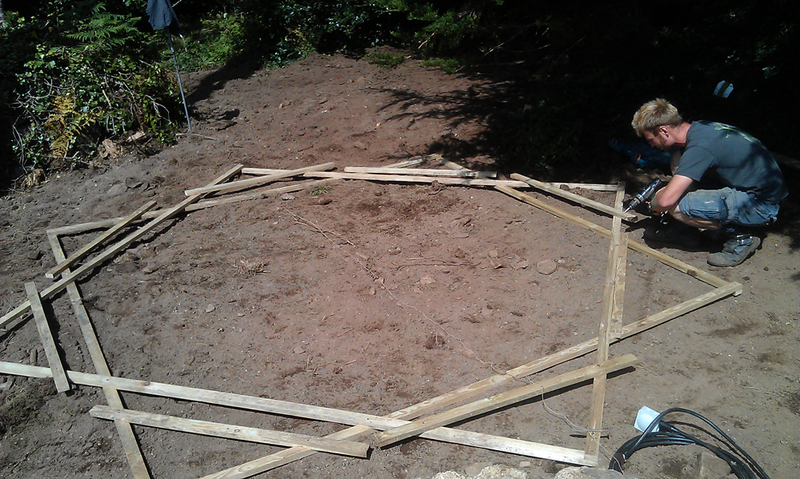 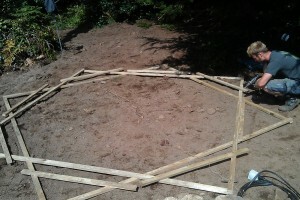 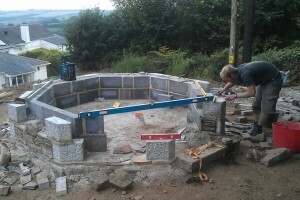 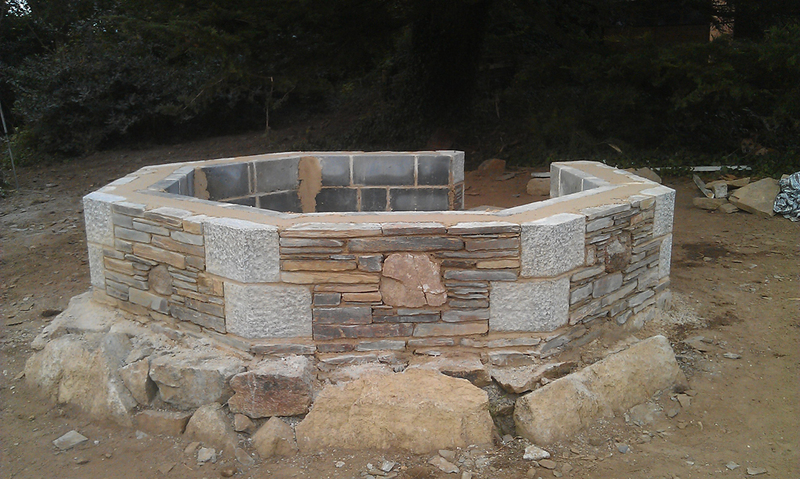 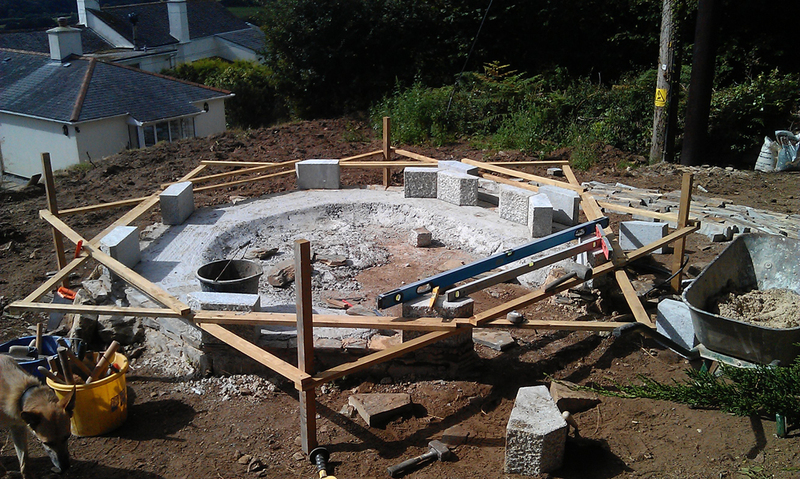 We were asked to build the mathematically exact octagonal stone base to support the timber structure. 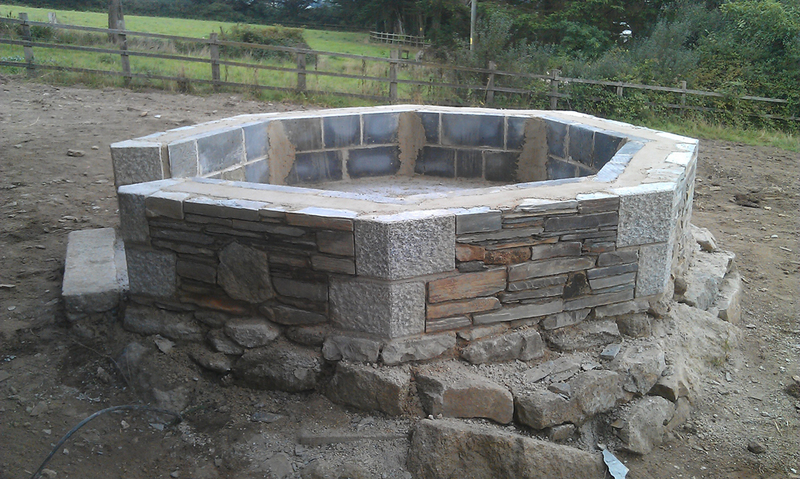 Made to measure local granite quoins were cut and dressed and built in with North Cornish slate stone. 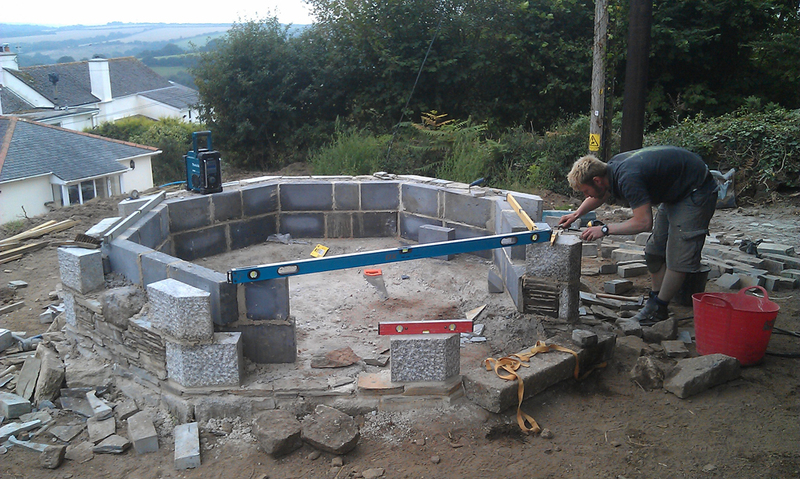 We laid the internal floor of the gazebo with replica Victorian ceramic tiles. 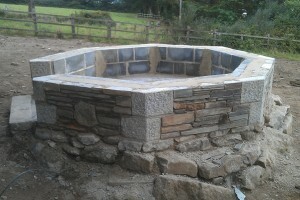 The collaboration resulted in a fantastic piece which out clients were delighted with.